More than two-thirds of the Earth is covered in saltwater; only 3% of all land is occupied by humans; 70% of Earth's fresh surface-water is frozen in the Antarctica; there’s an ocean of fresh water larger than all the oceans of the world combined that sits two hundred miles below the surface of the Earth, and 7.3 billion people are currently collapsing this global eco-system. Now is the time to develop respect for the grandeur of all nature; to let the natural purpose take precedence over human nature; to follow inspiration and enthusiasm as a guide in life, and build the future with these powerful emotions. Inspirational and enthusiastic emotions are tools of higher alignment . . . aligning microcosms with macrocosms. This is the wise use of the emotional body. But so often in this world, dominated by logic, the concept of emotions is not considered constructive . . . a non-emotional response is believed more appropriate. However, the non-emotional responses are in fact the problem. They're the most powerful emotions one can fall into -- it’s the emotion of blockage -- it stores the charges that erupt in random moments without real application or purpose . . . just a violent discharge. This is the current state of human nature, the constant random discharging of the emotional body which produces false positives; leading to erroneous protocols; producing unintended consequences called side-effects. This is what has led to our common human absurdities: violence to find peace; scarcity to create demand, and conspiracy for the intent of confusion . . . all in the nature of today’s human nature that’s collapsing its host-system . . . the only creature within nature that’s completely unnatural. Our prayer is that you take on the grand and lonely task of being an absolute outlier -- a master of inspiration and enthusiasm, and other emotional orientations that shed human nature for the sake of all nature . 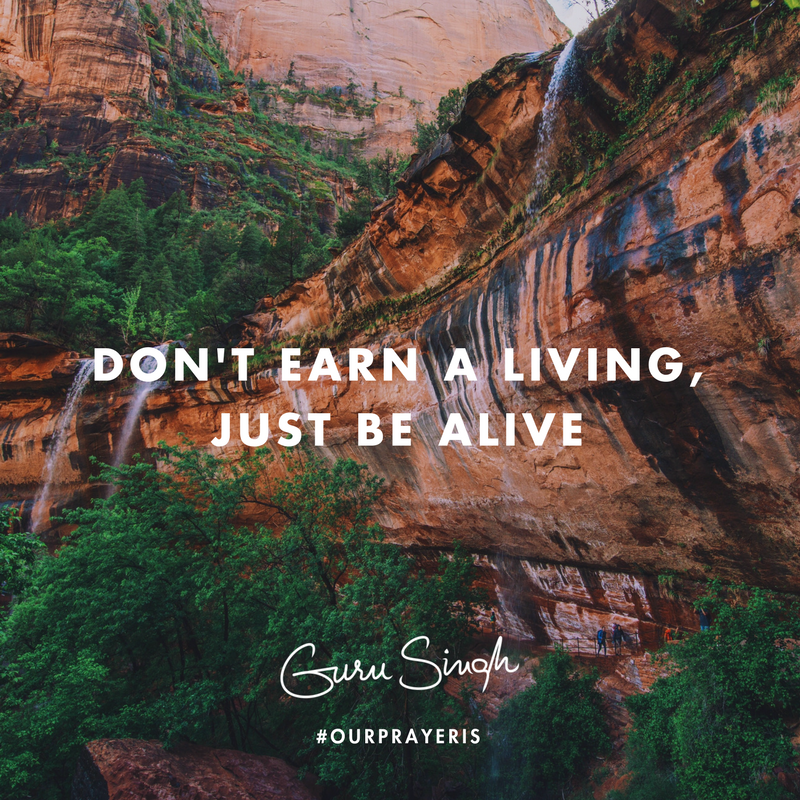 . . don't earn a living, just be alive.